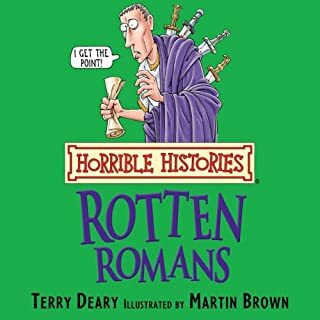 Discover all the foul facts about the Rotten Romans on audio, narrated by Terry Deary. Find out what Roman soldiers wore under their kilts and how ancient Britons got their hair nice and spikey. These bestselling titles are sure to be a huge hit with yet another generation of Terry Deary fans. 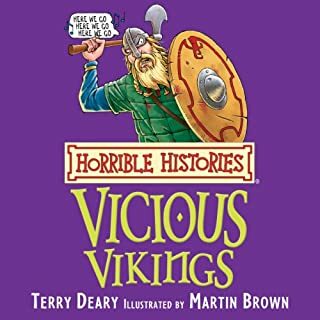 Listeners can discover all the foul facts about the vicious Vikings, including Viking Gods in wedding dresses, corpses on trial and Death by booby-trapped statues. Now in audio format, this bestselling book is sure to be a huge hit with yet another generation of Terry Deary fans. 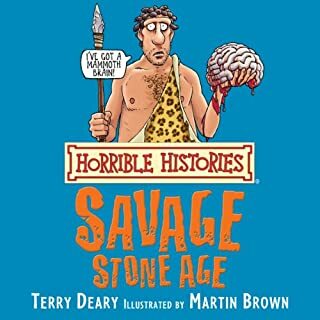 Learn all about the Savage Stone Age, with all the nasty bits left in. You probably thought that Stone Age people spent all their time standing stones up on one end and rubbing sticks together to make fires. 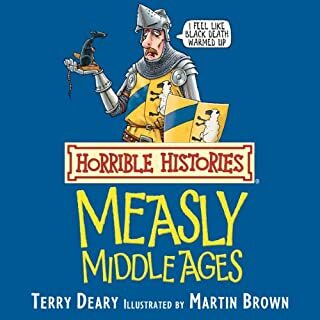 Discover all the foul facts about the Measly Middle Ages on audio, narrated by Terry Deary. Find out why chickens had their bottoms shaved, a genuine jester's joke and what ten-year-old treacle was used for. 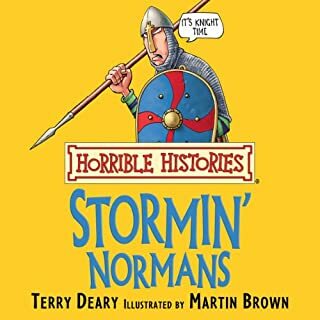 Listeners can discover all the foul facts about the Stormin Normans, including why Norman knights slept with a dolly, which pirate hung up his eye-patch and became a saint and why Crusader ships were defended with barrels of pee. Now in audio format, this bestselling book is sure to be a huge hit with yet another generation of Terry Deary fans. 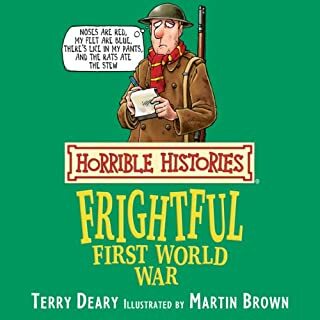 Discover all the foul facts about the Frightful First World War on audio, narrated by Terry Deary. Find out including what the 'Fat King' did with food scraps and dead horses, how sniffing your own pee could save your life in a gas attack and why a pair of old socks gave away top German secrets. Listeners can discover all the foul facts about the Terrible Tudors on this audiobook, including why Henry VIII thought he'd married a horse, which shocking swear words they simply loved to say and how an awful Tudor axeman kept botching the job. These bestselling titles are sure to be a huge hit with yet another generation of Terry Deary fans. Discover all the foul facts about the Vile Victorians, including the murderers who wouldn't hang, when the first public loo was flushed and about stag hunting in Paddington Station. These bestselling titles are sure to be a huge hit with yet another generation of Terry Deary fans. From George Washington crossing the icy Delaware to Molly Pitcher fearlessly firing her cannon, the people of the American Revolution were some of the bravest and most inspiring of all time. Jump into a riot in the streets of Boston, join the Culper Spy Ring as they steal secrets in the dead of night, and watch the signing of the Declaration of Independence in this accessible guide to the birth of the United States. 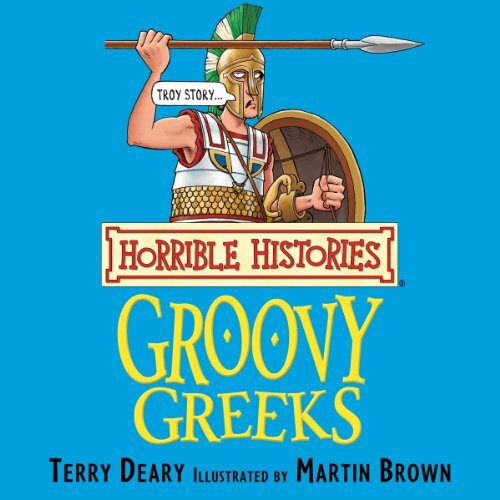 Listeners can discover all the foul facts about the Groovy Greeks, including why girls ran about naked pretending to be bears, who had the world's first flushing toilet and why dedicated doctors tasted their patients' ear wax! The content of this audiobook is disappointing, plenty of gross sound effects and gory details but thin in actual facts.